Gleaning is the act of taking up what is left in a field once the harvest has happened. This striped earflap hat gleans a little bit of handspun and shows it off by pairing it with a contrasting commercial yarn. Yarn: 30(40, 45, 50, 50, 55) yd [27.4(36.5, 41, 45.7, 50) m] worsted to aran weight handspun (contrast color – cc) and 50(55, 60, 65, 70, 75) yd [45.7(50.3, 54.8, 59.4, 64, 68.5) m] worsted to aran weight commercial yarn (main color – mc). You’ll need more of mc if you plan to make ties – see ties section at end of pattern. on ravelry here. this pattern is also available with other handspun designs in the mixed knits ebook. 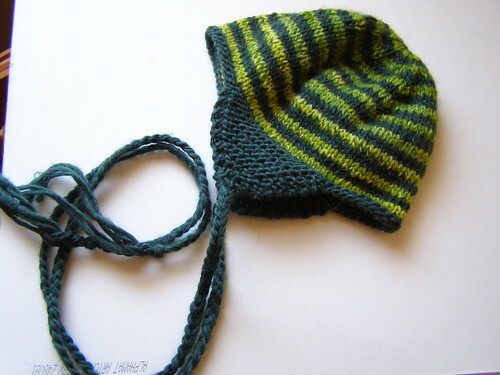 This entry was posted in cosyknitsliterally, handspun, hats, knitting, patterns by cosymakes. Bookmark the permalink. Love those colors together. And it’s such a cute pattern! 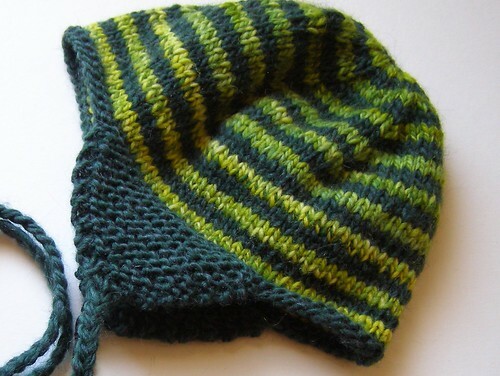 Sadly, every time I try an earflap hat, something goes wonky and it doesn’t quite work. Or perhaps it just doesn’t work on ME. I guess I’m not sure where the flaps are supposed to end up. Being that it’s an EARflap, I figure they should go over your ears, but then that makes the hat rather short. Am I overthinking things again? Regardless – it’s lovely! hee hee. i could help you with that. i make the hat 1/2 in shorter so the earflap matters and it covers the bottom bit of the ear and some of the cheek/neck region. i think others might make them differently.